There’s no way anyone can deny it: Germany has officially established itself as a first class travel destination, not just for the scattering of people who actually know what they’re doing but for the large groups of ‘we don’t know what we’re doing, nor do we care’ tourists as well. And in case anyone curious as to the reasons for this, they’re quite simple. 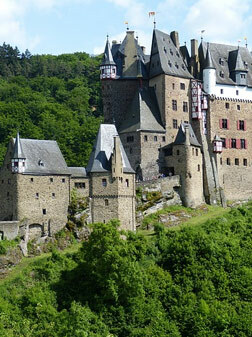 There is far more to the stunning country of Germany than meets the eye. It’s a daunting task, having to shortlist all Germany’s most thrilling attractions. It’s not a task I would wish on anyone, for that person is more that likely to end up in a state confusion, juggling an endless array of beer, food, sausages, seriousness, hiking, castles and parties. Yet, it’s important to remember that Germany is more than just a gigantic beer hall and a bratwurst. There is a fantastic artsian and music scene in Berlin. Not to mention, the beautiful forests in the west, cathedrals, castles, “sound of music” style cities and the alps in the south, and historical culture throughout the entire country. The typical opinion of german folk is that they are often serious and lack the wild side that their european neighbors posses. Yet, with this focus comes some of the nicest and kindest people you will meet in Europe, you will be welcomed with warm and friendly greetings. Discover some of the finest hotel accommodation, and stunning scenery, all the way from the silken sandy beaches along the Baltic Coast in the north to the snow-capped mountains of the Bavarian Alps in the south. Its cycle routes are second to none, its hiking trails organized to stereotypically german standards, and some of Europe’s best rivers pour through the country; the Rhine, the Elbe and the Danube. You can’t ask for much more than hospitality and honest, healthy yet rich food and a transport infrastructure that is supremely designed to transport you easily between it’s fine hotels and restaurants. Imagine the Netherlands without the problem of overcrowding. Imagine Italy with less people on a noisy Vespa. Imagine also France but without the language barrier and again, Switzerland without the extortionate pricing.